An undermount sink is when the sink is mounted from underneath the counter. As opposed to set in from the top. If you want an undermount sink, you do need to buy a sink specifically for undermount installation. A top-mount sink has a lip around the edge to rest on top of the counter as it is suspended in the sinkhole in the countertop. The biggest advantage of these sinks is that there is no lip or crevice to catch dirt. You can brush crumbs or wipe spills into the sink. Without anything getting trapped under the sink’s rim. Besides to easing clean-up, these sinks also enhance the style of your kitchen. Because the edge of the sink is hidden, they offer a sophisticated, streamlined look. Faucets are often installed in the counter behind the sink or on the wall. Despite their practicality and style, there are some disadvantages to undermount sinks. Undermount sinks are harder to install than drop-in sinks. They are often more expensive. 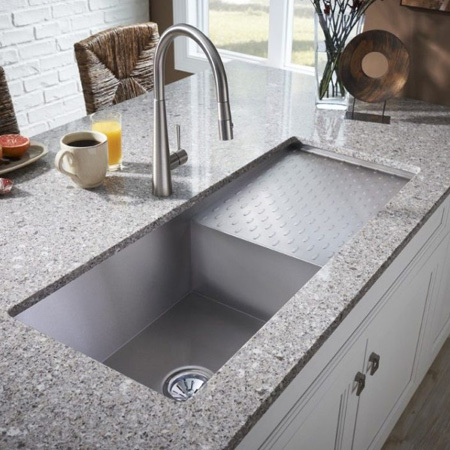 Undermount sinks are a great choice for solid surface and granite countertops. For example, but aren’t generally recommended for laminate countertops. Undermount sinks are sometimes installed with laminate countertops. Even though water damage is a potential concern. If you consider this option, make sure you find an experienced fabricator/installer. Since the bottom of an undermount sink will be an inch or so lower than a drop-in model. It may need more bending over to work in the sink. Also, keep in mind that because a custom hole is cut into the countertop for an undermount sink. It may be more difficult to replace the sink later — so it’s especially important to buy a good quality sink. You need to purchase a specific sink to have it mounted under the countertop. 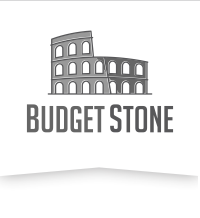 There are many places to purchase undermount sinks. We have listed a few places below.